Chinese NBA star Yao Ming has purchased the financially troubled Shanghai Sharks – a basketball team he previously played for. Chinese state media reports, the 226-centimetre Houston Rockets centre, currently sidelined with a foot injury, signed an agreement this week to acquire all of the shares of the troubled Shanghai Sharks. The deal’s sum hasn’t been disclosed though. 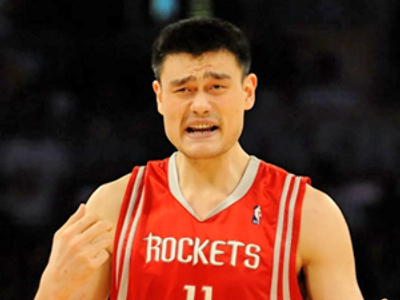 Before moving to the NBA, Yao played with the Shanghai Sharks from 1997 to 2002. He won the Chinese league title in his last season with the team. However, since his departure the club has faced a profound crisis. Sina.com reports the Shanghai native, who had his jersey number retired by the Sharks in 2003, says he has "very deep feelings for the Shanghai Sharks" and “hopes to help make a difference" to the club’s performance.